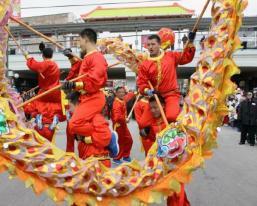 Join the Argyle business community for the annual Lunar New Year parade! Parade steps off on Saturday, February 21st at 1:00 pm, beginning in front of the sponsoring Hip Sing Association, 1121 W. Argyle (just east of Red Line) after firecrackers explode to ring in the New Year. Parade floats, marchers, and lion and dragon dancers will head east down Argyle, turn south onto Sheridan, turn back west on Ainslie to Broadway and back north to Argyle.